Ralph D'Auria, MD, has a long career of helping patients recover from injuries without having to suffer through the trauma of surgery. 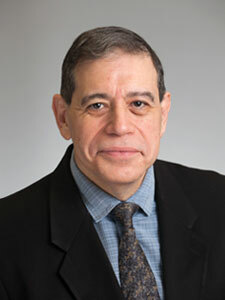 Dr. D'Auria acquired his expertise during the completion of two full residency programs for a total of ten years of post graduate medical training. His first residency program was in Orthopedic Surgery then followed by a second program in Physical Medicine and Rehabilitation (with board certification). During the duration of Dr. D'Auria's 30 plus years in clinical practice, he has developed a particular strength in the non-surgical treatment and rehabilitation of neck and back injuries. Specializing in the field of Orthopedic Medicine and Rehabilitation, Dr. D'Auria is prepared to treat a wide range of injuries to the musculoskeletal system, which includes the bones, joints, muscles, ligaments and tendons. Dr. D'Auria speaks Spanish, Russian, Italian, and French.